Women in Engineering Student Success programming has been developed to build a community that supports and inspires women engineering students. Formal mentoring, welcome events and study breaks offer opportunities to connect with peers, mentors and the WIE Student Success team. WIE Connect offers two different mentoring programs. The programs match first year students with upperclassmen in a mentoring relationship. 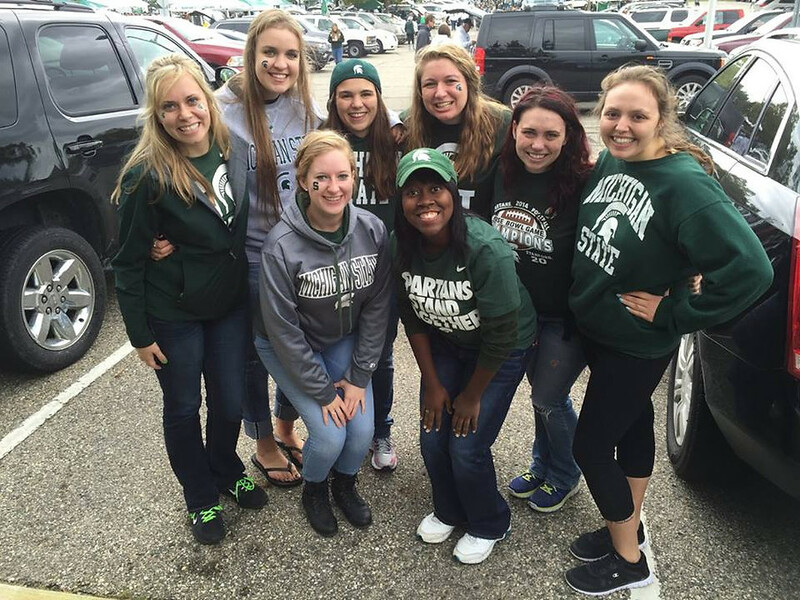 They give first year students the opportunity to have a guide to help them through their first year, and upperclassmen the opportunity to help a new student find their way in their first year at MSU. WIE Connect Pairs is a traditional one on one mentoring program. Each first year mentee is matched with an upper-class mentor. Each pair connects individually for at least 15 minutes each week. Mandatory monthly meetings are held for all Pairs to meet, mingle and connect. Monthly meetings offer social and professional development opportunities. WIE Connect Group offers first year students to experience a group mentoring dynamic. Mentees will be part of small group (4 first year students) led by two upper-class mentors. The Group dynamic focuses less on a dedicated mentor/mentee relationship and provides for a ‘we all learn from each other’ environment to support each mentee and mentor. The WIE Connect Groups utilize a variety of mandatory and drop-in activities, meetings and events to build community and connect members. Confused by the WIE Connect Meeting and Social Event Requirements? We encourage you to come to ALL of the meetings and social events but we know that is not always possible. Click on the links below for a quick summary of the Program minimum requirements. WIE Connect Pairs - How Many Events Do I Need to Attend? WIE Connect Group - How Many Group Events Do I Need to Attend? Fun Activities for Fantastic Outings! Brain Breaks are held several times each semester in Wilson Hall and the Engineering Building. They are a great opportunity to meet other women engineering students, connect with WIE and have a free tasty treat. WIE CELEBRATE! - KICKOFF THE 2018-2019 YEAR WITH WIE! Join us for fun, food, music and connections! Meet other women engineering students, College faculty and staff, have your picture taken in the Photo Booth, enjoy the music and unique refreshments. WE WILL HAVE DOOR PRIZES!